Your belongings deserve to be protected. When you contact a moving company, you should expect a simple, straightforward, and transparent process. Sadly, this is rarely the case. This is why we at Movers.Best through our Pomona moving services strive to provide you with a service you can rely on. Family owned and operated, we operate under ‘safe and fast’ philosophy of getting your possessions where they need to go. With us, you save yourself a massive headache going with a company that you can trust to get the job done. We understand that you have a lot of choices when it comes to movers. That is why we hope that you consider us and experience for yourself a superior Pomona professional moving service. It is the typical city of Southern California, where the majority speaks Spanish. Scattered in the valley, most houses in the area have one, rarely – two floors. Over 43% of rented houses and a large amount of young people (the average age of a Pomona citizen is 29) create all circumstances to often moves of people living there. College here is often rated among the best educational institutions of United States, and in 2015, it was called the top one. Thus, many young people, living in the USA and even overseas enlarge the quantity of 155,000 populations living on 23 square miles only. However, the college and University, where future medics study attracts more students, that they can accept. Some of the applicants, failing to be accepted to these institutions, stay in the city and rent apartments. Working, they are hoping to enter their schools next year. 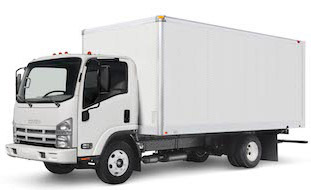 Movers often help young single people to move to their rented homes and studios. Besides students, the company, certainly has other clients, helping them in relocation. The city area has Mediterranean climate, and movers here works in mild conditions. Our company, One of Best professional moving companies in Pomona, works every day, with no days off. If client wants to move on Sunday or Saturday, we will do the job exactly these days. Crews feel responsibility for each of your belongings, even the smallest ones, which somebody can call a bauble. To deal with us, applicants should be honest, free from addictions, willing to work hard and having a good attitude to other people. Only when we see the applicant has these qualities and has a desire to work, he becomes one of our friendly team. Each of the movers is proud to be with us and be a part of our life, full of meetings with people and making new friends with them. When you need to move in Pomona area, you can visit the company website, read thoroughly about the services and prices. Our company realizes, that each move is a serious stress. Coming to us, you will meet smiling personnel and, our Pomona movers team. We will come to your home on the agreed day to another place and do everything to be helpful in this relocation. The number of guys, who will come to your house to pack things and load the truck, will depend on the amount of your cargo and your personal preferences. It can be two men, who will come with a truck or three of them. Four guys, working with two trucks, serve large households. The minimum time, which they spend with their clients, packing and wrapping things, disassembling the units of furniture and assembling the stuff, arranging everything in rooms, is three hours. Our teams are paid for an hour of work. You should not pay anything over the money you are agreed to pay after the job is done. Strong and trained movers never refuse to load even very heavy things. If the unit is very large, they will ask you if they can disassemble it. We are reputed movers, and we are proud of employees working with us. We will be very thankful, if you leave your reviews about the results of your crew and the whole staff of the company.